Plantar calluses can be extremely painful and they can even prevent you from walking. Since there are many reasons why they can occur, it’s important that you know when you can take care and treat your plantar callus on your own or when it is better to get a doctor’s help. Click here to discover the best ways to deal with bunions and calluses. Simply put, a plantar callus develops on the bottom of your foot where your toes connect to the heel bone. It is a thickened amount of skin that can be either yellowish or brown, and it is always hard, dry, flaky, and painful. The plantar callus is formed because there is a lot of pressure in a specific part of your foot that isn’t capable of handling it. So, there is an abnormal weight distribution. As a reaction, your body starts creating a hardened piece of skin – the plantar callus. There are many reasons why you can develop a plantar callus. Overall, they are always caused by an excessive pressure or repeated friction on the area. Some of the most common ones include the misuse of slipping socks or fitting shoes as well as bone deformities. However, there are certain medical conditions that can also lead a plantar callus to form. These include flat feet, excessive running or walking, bunions, hallux valgus of the big toe, or even a previous fraction of your foot that is leading to an abnormal weight distribution. One of the best ways to prevent you start developing a plantar callus is to make sure that the weight on your foot is properly distributed. So, using a cushioned interior on your shoes or wearing softer shoes should help. There are also some specific rehydration creams especially created for thickened skin as well as you can get some foam insoles or customized soft paddings. The best thing you can do when you have a plantar callus is to make an appointment with your doctor. They will use a scalpel to trim away the thick skin. This will relieve some of the pressure on the underneath tissue. 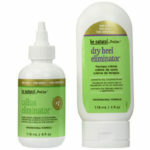 They will use a solution that includes 40% salicylic acid and he will apply it to the plantar callus topically. In case your doctor uses this method, you will need to continue using this solution on a daily basis for some time, as well as you’ll be advised to use a pumice stone or a metal file. There are a few exceptions where the doctor may need to perform a surgical procedure. This only occurs in the case when the bone structure is the one that is causing the plantar callus. So, the surgery will allow the doctor to realign your feet bones. As you can see, treating plantar callus is not only possible as it is very quick. However, there is nothing better than trying to prevent them from appearing. So, make sure that you use comfortable shoes that are not too tight and use a shoe pad to help with the pressure and pain.